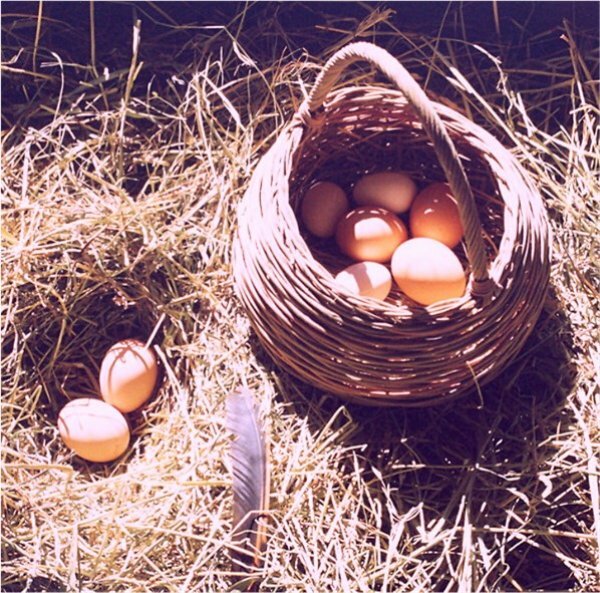 Farm fresh eggs from our free range hens! Our free range eggs make our ice cream unforgettable. But you’ll enjoy them in other ways, too! Try the best hard boiled egg you ever ate, with our garlic herb mayonnaise for dipping. Watch for our Garden Frittata special, an Italian omelette made with our fresh herbs and seasonal vegetables. And of course, our homegrown spinach salad isn’t complete without some of our eggs for topping! ← Heirloom dinner…green beans and taters!